Mary Pike married Abraham Kimball, son of Ebenezer Kimball and Ruth Eaton. Sir Theobald de Verdun was born on 8 September 1278 at Atton Castle, Straffordshire, England. He married Elizabeth de Clare, daughter of Gilbert de Clare 3rd Earl of Gloucester, 7th Earl of Hertford and Joan Plantagenet, on 4 February 1316.1 Sir Theobald de Verdun died on 27 July 1316 at Alton, Straffordshire, England, at age 37. [S618] Gary Boyd Roberts, Royal Descents, page 270. Ruth Eaton was born on 21 November 1684. She was the daughter of Thomas Eaton and Eunice Singletary. Ruth Eaton married Ebenezer Kimball. Ruth Eaton died on 6 April 1750 at age 65. Gilbert de Clare 3rd Earl of Gloucester, 7th Earl of Hertford was born on 2 September 1243 at Christchurch, Hampshire, England. He married Joan Plantagenet, daughter of Edward I, King of England and Eleanor of Castile, on 30 April 1290 at Westminster Abbey.1 Gilbert de Clare 3rd Earl of Gloucester, 7th Earl of Hertford died on 7 December 1295 at Monmouth Castle, Monmouthshire, England, at age 52. Eunice Singletary was the daughter of Richard Singletary. Eunice Singletary married Thomas Eaton. [S618] Gary Boyd Roberts, Royal Descents, page 314. Rilda Jane Brown was born on 29 May 1868 at Simsbury, Hartford Co., CT. She married Wilson Case, son of Chester Case and Rhoda Ruic, on 17 January 1889 at Simsbury, Hartford Co., CT. Rilda Jane Brown died on 7 June 1950 at West Hartford, Hartford Co., CT, at age 82. [S182] Social Security Death Index (on-line), Ancestry.com, SSDI, Ancestry.com, SSAN 048-03-6366. [S182] Social Security Death Index (on-line), Ancestry.com, SSDI, Ancestry.com, SSAN 043-58-7211. [S182] Social Security Death Index (on-line), Ancestry.com, SSDI, Ancestry.com, SSAN 042-20-4351. [S182] Social Security Death Index (on-line), Ancestry.com, SSDI, Ancestry.com, SSAN 042-03-5146. [S618] Gary Boyd Roberts, Royal Descents, 824. [S182] Social Security Death Index (on-line), Ancestry.com, SSDI, Ancestry.com, SSAN 043-28-5152. I will start my narrative with stories, told to me by my grandmother when I was a very little girl. Often times in the morning after Grampa had taken his early start off to work, I would join her in her bed and she would tell me about her childhood. The family lived in a big colonial house in North Canton, CT. Rilda, her mother, had porches added to three sides of the house. There was a barn and a woodshed. Sometimes little Sarah entertained herself playing house. Her playhouse was a stone wall about six feet from a woodpile and planks were placed between the two to provide a roof. Her mother provided her with broken pieces of china for her doll dishes. The play between she and her friends would always include addressing each other as "Mrs."
Fishing was another pastime she enjoyed. There was a brook on the property, and at that time there were abundant fish. Little Sarah would join her brother Arthur. Arthur would carry his fancy fishing gear, and Sarah would pick up a stick, some string, and a safety pin for a hook. They would cross the brook by stepping in the holes in the mud created by the cows walking in the water to drink. The little sister would make too much noise, talking, and brother Arthur would tell her to, "Be still." Even with the noise they would catch fish and take them home for "Mother" to cook. Berry picking was another activity children enjoyed. They would climb the hillside and fill buckets with berries. One favorite story was about ice cream. Rilda would go away for the day on an errand and the children would be left in charge of Rosie, the orphan taken in by Rilda. A home was provided for the orphan and in turn the older child would be expected to entertain Sarah and the rest of the children. The children would chip off what ice they needed for the ice cream maker, and add salt. Then they would get the thickest cream off the milk in the ice room. Flavoring was added and the children would take turns rotating the ice cream maker. Gramma said the ice cream was so rich the top of the children's mouths would accumulate the fat. The children all walked to the one room schoolhouse, which was a short distance from their home. In the winter it was heated with a wood stove. There were two outhouses, one for boys, one for girls. The schoolhouse provided elementary education for grades one through eight. Often school teachers would board with the family. Little Sarah started school before the appointed time, because of her attachment to one of those teachers and when she grew weary would sleep under the teachers desk. Winters were severe in North Canton, Connecticut. After one snowstorm the children were allowed to bring their sleds to the second floor, put them out the second floor window onto the porch roof and slide out onto the deep snow. Sometimes a tunnel would be shoveled out between the house and the barn because the snow would be so deep it would be well over a man's head. In the winter ice was cut on the pond and stored in the house cellar to keep fresh milk and other necessities cold. There were chores for the children and Sarah's duties included cleaning the glass chimneys on the kerosene lamps and dumping and cleaning the slop buckets used during the night. She didn't always complete her chores when "Mother" wanted her to, and one day, she was punished by having her mother call her home when she was half way to school. Sometimes she and her mother would make big dishpans full of popcorn in the evening. "Mother" never spanked her, instead she would talk to her, and Little Sarah would be driven to tears and obedience by her own guilt. Sarah was about 12 when her youngest brother, Edward, was born. Sarah was a little mother to him, and carried him around on her hip, which in later years she determined, contributed to a curvature of her spine. At 12 Sarah was allowed to wear long skirts, a right of passage she said later was bestowed before customary. As a young teenager, husking bees were a great form of entertainment. The crowd would gather in a farmer's barn, with food, and music (usually a fiddler) and husk away and square dance. Square dancing was acceptable, any other kind of dancing was not. Gramma told me about a time she had brought a pumpkin pie to the husking bee and while sitting in the carriage, a boy had complained his feet were cold. As it turned out his feet were in the pie. When eighth grade was completed it was decided that Sarah and Arthur would attend the Hunsinger Business College in Hartford. They would take the train from Canton Center into the city on Sunday night and return home on Friday night. During the week they boarded at separate homes. My Grandmother and Grandfather started their lifelong relationship when she was 13 and he was 18. One of the orphans who had lived with Sarah’s family had joined the U.S. Navy, and met my Grandfather, Floyd there. He introduced them by mail and they wrote over the years. When his time was up, he came back to his home in Middletown, CT.
Their dates would sometimes consist of a walk in Elizabeth Park where Floyd would put his clean handkerchief on the park bench for Sarah to sit on. All travel was done on the trolley, because Floyd didn’t have a car at the time. They would travel to his home in Middletown, Savin Rock, to the Connecticut shoreline, all by trolley. They were married in Middletown, CT at Floyd’s father’s house which he shared with his second wife, Nettie. They moved in with Sarah’s mother in West Hartford. The family had moved from the country of Canton, CT, to the suburbs. It was a three family house, that is still occupied. Sarah, Floyd, her mother, and sometimes an orphan lived in five rooms. It was common in those days for a member of the family to have a bed in a corner of the dining room. Their first son, my father, was born. An illness followed for Floyd and they were separated for a time. Floyd was a hard worker and started in the electrical business when it was in its infancy. He was always a good provider. Each day he would take the trolley for one hour to and one hour from his work, in every kind of weather. Sarah was a full-time homemaker. Eventually they moved to the small apartment on the third floor of Sarah’s mother’s house. A second son was born. After almost 17 years of marriage, they were left a lovely, small, Victorian house with good size rooms and generous hallways by Sarah’s Uncle William who passed away. The house was just around the corner from her mother. They lived a frugal life. Dressing children in the winter was done in the kitchen by the warmth of the stove. The living room was unfurnished for a number of years. The two sons grew. The youngest went into the Army and Sarah and Floyd expended much energy worrying about him. When he returned he and his brother started racing motorcycles, another worry. At a time when few women drove cars, Sarah got her license and Grampa's old car. She was probably in her 30s at the time. The boys married, but were frequently at the table at Sarah’s and Floyd’s. I was the first grandchild born to Leroy, the oldest son. As an infant my Grandfather would wrap me up, put me on the front seat of his car and take me to his house for the weekend, so that my parents could go to the movies. During my childhood I spent many happy times at my grandparent’s home. They argued with each other, but they were never anything but good and kind to me. My grandmother would do special things for me. During the hot summer she would load up a wash tub with cool water and let me sit in it. Whenever we went shopping there would be a dime and later a quarter to buy something for myself. She made it fun to help her in the yard. There were frequent trips to Vermont to visit her uncle and I was often invited. It would be such a good time for us both, although she worked most of the time. She always found time to do fun things with me. And, best of all she always took me to church and Sunday school. I cherish those times with her to this day, although as a child I would have rather been home reading the Sunday funny papers. She and my Grandfather took me on a trip to Florida, for three weeks, when I was about 15. I had the best time. Sarah was ahead of her time. She was interested in nutrition, long before it was the trendy thing it is today. She prepared good balanced meals for her family. I regret now that I didn’t spend more time with my Grandparents as I got older. I became a rebellious teenager, and married young. My less frequent visits were always enjoyable. I was always welcome at their house. They loved unconditionally, a rare quality. I always think of her as a combination of Estelle Getty, from Golden Girls, because of her little stature and humor, and of Queen Elizabeth, because of the way she dressed and her demeanor. She always thought of herself as a farmer and enjoyed both her vegetable and flower gardens . In retirement, as throughout life, she did many good works. She spent much time visiting people who were ill. She did an outreach from the church to mother’s with new babies. She was head of the refreshment committee for the Golden Age club at her church. She was proud of that. She was a great cook . . . no wonder. Floyd died in 1981. I helped her get his clothes ready to be buried in. The family worried that she wouldn’t be able to stay in her home alone, but she surprised us all. Her home was broken into and she was robbed another time. She held out. With very little assistance, she managed the yard and house. She drove her car when she was past 90 years old. Sarah passed away in September, 1992, at almost 98. There were disappointments right up to the end. Some weeks before, while she was in her last illness, she told me, she thought she had had a good life. I’m glad she felt that way. All her life she did her daily reading from the Bible, said her daily prayers went to church, and supported many charities. I benefited by many of those prayers I’m sure. She told me she always prayed for, “my little girl,” me. If there is a heaven, she is there, I hope there is a heaven. [S182] Social Security Death Index (on-line), Ancestry.com, SSDI, Ancestry.com, SSAN 042-01-6693. [S182] Social Security Death Index (on-line), Ancestry.com, SSDI, Ancestry.com, SSAN 042-01-6692. [S182] Social Security Death Index (on-line), Ancestry.com, SSDI, Ancestry.com, SSAN 045-16-5172. Marjorie Luckingham married Edward Wilson Case, son of Wilson Case and Rilda Jane Brown. My Mother was born in 1919 in Hartford, Connecticut. She was the fourth of seven children born to Rachel Haheim, an immigrant from Norway, and Martin Johnson, a Merchant Marine, who emigrated from Sweden. Rachel and Martin met in the Boston area. They married and produced their first three children in Medford before moving to the Hartford area where they lived, over the years in four different five-room flats in the Bonner Street area. The boys would sleep on couches in the living and dining rooms, the four girls had one bedroom and her parents had the other bedroom. In good weather, both the American and Swedish flags were proudly displayed on their front porch. Gertie loved her father, a quiet, gentle, man who supported the family as a tool maker in one of the city's typewriter factory's. He worked six days a week but never accumulated enough money for an automobile. In his free time, he would walk several blocks, accompanied occasionally by one of the children, to a vegetable garden he kept. He would walk with the children to the Lutheran church for Sunday School. He would take walking tours with the children all over Hartford. When the children were sick, it was Martin that would care for them. Rachel, her mother, was a good cook and there was always ample food for the family. She made all the families clothing including underwear. Both Rachel and Martin had a "full plate," providing for themselves and seven children. Rachel became a passionate woman who demanded the obedience of her children. A summer treat for my mother might be a lettuce leaf sprinkled with sugar and rolled. Her picnics in the park would be bread with sandwich spread (a combination of relish and mayonaise). She had one birthday party, and since her birthday was in October, the children mistook it for a Halloween party and brought no gifts. She enjoyed holidays that brought special foods and a small glass of wine for each child, but Christmas gifts were limited to socks, mittens, underwear and fruit. Gertie loved the movies. At that time the same movie would be played over and over all day. Once you paid your admission you could stay as long as you liked. She would sit and swoon over the beautiful women, romance, and especially the handsome male stars. One day she stayed until dark and her mother came into the movie house and brought her home. My Mother was average in most school subjects, but excelled in spelling, taking away the prize in many spelling bees. Being one of many in both school and at home she wasn't encouraged to pursue an education. At the time it was quite common for working class children to leave school after eighth grade. She did just that, and got her first job as a full-time baby sitter. For a pittance she took complete care of two children, did the washing and ironing, other household chores and prepared the evening meal. As soon as she was old enough for factory employment she got her first job on an assembly line at Underwood Typewriter. She would walk to and from work each day with her dad. Young woman working on the assembly line would chat about the future. Becoming a wife and homemaker away from the drudgery of the factory was their big goal. My Mother would from time to time recite to me a poem she learned in the factory to me, "Oh dear, bread and beer, if I was married I wouldn't be here." Mom and Dad married in 1941 and moved to East Granby, CT, where they made an attempt at farming. My Father worked as a lumber jack, and at other jobs to bring in a bit of cash. They had lots of chickens they sold for meat. They also sold eggs door to door in the city. They had goats, dogs, and a vegetable garden. My Mother carried what water they needed from a well across the street. She canned vegetables and meat. When I was born I drank the goat’s milk. They were disappointed with farm life, and we moved to West Hartford, CT and we lived with Dad’s parents. I enjoyed some of my happiest days there. My Grandfather got my Father into the electrical business. My Mother went back to work at Underwood to earn a bit of cash, to purchase things for she and I. Sometimes she would bring me a toy when she got paid. In 1949 they finished building our home in Windsor, CT, where we enjoyed a frugal, but comfortable lifestyle. In 1958 my Father went into business for himself as an electrical contractor. My Mother assisted with the business. In 1962 there was a family crisis, when my Father, Mother, and uncle, who was part of the business at one time, disagreed. My Mother and Father divorced. She received a very small settlement. At the same time she was afflicted with mental problems, probably caused by the stress. She was a displaced homemaker without enough job skills to support herself. Soon her funds were depleted. There was no one to help her. Her mental problems escalated and she was hospitalized on and off for the next 12 years. When my children were born, her beloved grandchildren, her life took a turn for the better. She managed to have a small apartment and enjoyed visits from the precious grandchildren. I went back to work and she baby sat for them for about five years, which helped me, and gave her purpose. She enjoyed watching the children grow into adults. In later years she was a very quiet, withdrawn woman. She loved my Father all her life and never remarried. On the day before Mother’s Day in 2002 she fell in her bedroom and shattered her shoulder. She died on June 6, 2002 at Windham Hospital from Pneumonia. She is remembered fondly by her grandchildren, as a kind and generous. She loved her grandchildren unconditionally. I'm sure my Mother died regretting many things that happened during her lifetime. I'm also sure she thought she was responsible for most of them. Since a number of years have passed, I can now look back at the whole picture and see that it wasn't only what she did wrong, but more what wasn't done to help her. She was truly abandoned by her friends and family and in 1960 there were no services for displaced homemakers. It should be a lesson for all of us: If we all, family and friends of a person going through a crisis, could learn to work together, a little simple kindness by each of us would go a very long way. [S182] Social Security Death Index (on-line), Ancestry.com, SSDI, Ancestry.com, SSAN 042-12-2630. Roberta Bywater was born on 28 October 1943 at Hartford, Hartford Co., CT. She was the daughter of Leroy Floyd Bywater and Gertrude Helen Johnson. Roberta Bywater married (?) Lusa. 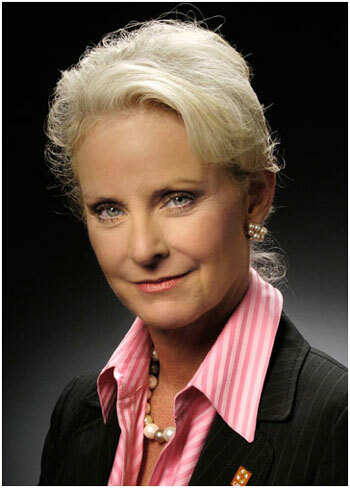 Roberta Bywater died on 17 October 2008 at age 64. She was buried on 24 October 2008 at Grove Cemetery, Eastford, CT.
Sir Thomas Ferrers was born circa 1395 at Groby, Leicestershire, England. He was the son of William Ferrers 5th Baron Ferrers of Groby and Philippa Clifford.1 Sir Thomas Ferrers died in 1459 at Groby, Leicestershire, England. William Ferrers 5th Baron Ferrers of Groby was born in 1373 at Groby, Leicestershire, England. He was the son of Henry Ferrers 4th Baron Ferrers of Groby and Joan Poynings.1 William Ferrers 5th Baron Ferrers of Groby married Philippa Clifford circa 1391 at Brough Castle, Brough, Cumbria, England.1 William Ferrers 5th Baron Ferrers of Groby died on 18 May 1445 at Woodham Ferrers, Essex, England. William Ferrers 3rd Baron Ferrers of Groby was born on 28 February 1333 at Newbold Verdon, Leicestershire, England. He was the son of Henry Ferrers 2nd Baron Ferrers of Groby and Isabel de Verdun.1 William Ferrers 3rd Baron Ferrers of Groby married Margaret Ufford on 25 April 1344 at Groby, Leicestershire, England.1 William Ferrers 3rd Baron Ferrers of Groby died on 8 January 1371 at Stebbing, Essex, England, at age 37. Henry Ferrers 2nd Baron Ferrers of Groby was born in 1303 at Groby, Leicestershire, England. He married Isabel de Verdun, daughter of Sir Theobald de Verdun and Elizabeth de Clare.1 Henry Ferrers 2nd Baron Ferrers of Groby died on 15 September 1343 at Groby, Leicestershire, England. Cindy Lou Hensley was born on 20 May 1954 at Phoenix, Maricopa Co., AZ. She married Senator John Sidney McCain III, son of Admiral John Sidney McCain Jr. and Roberta Wright, on 17 May 1980 at Arizona Biltmore, Phoenix, Maricopa Co., AZ. Elizabeth's life spanned three wars, a major uprising, and the evergence of a nation. She spent all but her first five years at Forty Acres, her family's handsome Massachusetts home, which still stands proudly today. It was there that she grew up, married, raised children, and kept busy as the mistress of a working farm and wife of a prominent leder in the community. And all the while, she never stopped writing and recording her life in hundreds of diary entries and letters that made up the foundation of the book Earthbound and Heavenbent by Elizabeth Pendergast Carlisle. The Porter-Phelps-Huntington House in Hadley, Massachusetts was home to the same family continuously over six generations and two hundred years. In 1955, it became a museum filled with a family collection of furnishings and folklore. Over the years, the house has been nicknamed "Forty Acres", "Elm Valley", and "the Bishop Huntington House". Built in 1752, by Captain Moses Porter, this was the first house constructed outside the stockade, which had surrounded Hadley since its settlement in 1659. Moses Porter was killed in the French and Indian War only three years after moving his small family into their new house. One night Elizabeth was putting her daughter to bed when she heard a rap upon the bed chamber window. Sliding the shutter open, she found Moses’s Indian servant, who passed her husband’s sword through the window. With this symbolic act, she knew that Moses had been slain in battle. He died at the battle of “Bloody Morning Scout” in New York state. Demonstrating an early sense of family history, the Indian shutter was not replaced when the others were modernized in the 1780s. Moses Porter’s sword can still be found at the Porter-Phelps-Huntington House. Poor Elizabeth, left alone to manage the busy estate and raise her daughter, also named Elizabeth, seems to have faired poorly under the strain, turning to opium and living a sickly life thereafter. His widow Elizabeth and daughter, also named Elizabeth, lived together in the house. In 1770, the younger Elizabeth married a man named Charles Phelps. He moved into the house with the bride and her mother and took over management of the farm. Charles was a prominent lawyer and politician and he wanted the house to reflect his status, so a vast number of changes were made to it between 1770 and 1799. Charles Phelps also ambitiously expanded the family estate until he owned almost a thousand acres at the time of his death in 1814. In 1801, the Phelps' daughter, Elizabeth, had married a Connecticut minister by the name of Dan Huntington. In 1816, after her father's death, Elizabeth and her husband moved to Hadley with their nine children and Dan gave up his ministry to manage the farm. In Hadley, two more children were born. In 1817, Elizabeth's brother, Charles Porter Phelps also returned to Hadley and built a house across the road from the Porter-Phelps-Huntington House. Charles Porter Phelps' house is refered to as the "Phelps Farm". It was the youngest of the eleven Huntington children, Frederic Dan, who loved the family home most. Before his father's death in the 1860s, Frederic Dan bought up his brother's and sister's shares of the big house so that he would inherit it. However, his business as an Episcopal minister in Boston and later Bishop in Syracuse, allowed Frederic Dan to spend only the summer months at the house in Hadley. He did keep the place as an active farm, with a caretaker to look after it during the winters. The house in Hadley was also a popular summer spot for Frederic Dan Huntington's children and grandchildren who all spent a week or two there each year. George Huntington, Frederic Dan's eldest son, never had a chance to inherit the house, however. Father and son died on the same day in July of 1904. The farm was inherited jointly by George's six children. The best use for the house was rather uncertain at this time. Around 1911, the eldest son, Henry Barrett, tried to run a dairy farm there, but this was unsuccessful. In 1921, the children took it upon themselves to make the old fashioned house into a suitable summer home for their mother, Lilly Barrett Huntington. This venture was a success and Lilly spent several happy summers there before her death in 1926. The house then fell into disrepair until the 1930s, when George's middle son, Dr. James Lincoln Huntington, began to take an interest in the history of the house and family. In 1929, he aquired full ownership of the property from his brothers and sister. James then had the 1795 chaise house converted to a residence. He began to spend much time there during the summer and on every available weekend. Through the 1930s and 40s, Dr. Huntington spent an increasing amount of time at "Forty Acres". In 1942, he gave up his Boston medical practice and moved to Hadley permanently. James spent most of his time and all of his money working to preserve the house and research family history. He was able to retrieve much of the old family furniture, which had been dispersed among various relatives, over the years. This he returned to the old house, removing anything that did not have connections to the early family. During the 1940s, he began giving tours of the house and searched for funds to preserve it as a museum permanently. Unfortunately, James was unsuccessful in this quest for funding and in 1955, came very close to selling the house. At this time, however, concerned friends and neighbors came to the rescue with money to form the Porter-Phelps-Huntington Foundation and Dr. Huntington donated the house and its contents to them. Since James Huntington's death in 1968, this private non-profit foundation has continued to preserve the house and open it for tours each summer. [S135] Judge Oliver Seymour Phelps Phelps Family, pages 182, 294. [S669] Elizabeth Pendergast Carlisle, Earthbound. [S669] Elizabeth Pendergast Carlisle, Earthbound, page 55. [S135] Judge Oliver Seymour Phelps Phelps Family, page 295. Dan was enumerated in the 1850 Hadley, Hampshire Co., MA, federal census. He was a Unitarian clergyman, age 75, living next door to Charles and Elizabeth Phelps. The only child in the household was Bethia, 44. [S135] Judge Oliver Seymour Phelps Phelps Family, page 509. [S135] Judge Oliver Seymour Phelps Phelps Family, page 510. Garner Woolson married Louisa Clark, daughter of Francis Clark and Abigail Kimball. [S135] Judge Oliver Seymour Phelps Phelps Family, page 507. [S135] Judge Oliver Seymour Phelps Phelps Family, pages 508. [S135] Judge Oliver Seymour Phelps Phelps Family, page 508. Francis Clark married Abigail Kimball, daughter of Amos Kimball and Abigail Corliss. Amos Kimball was born on 31 August 1750 at Bradford, MA. He was the son of Abraham Kimball and Mary Pike. Amos Kimball married Abigail Corliss on 20 February 1774. Amos Kimball died on 20 September 1820 at Haverhill, NH, at age 70. Abraham Kimball was born on 3 January 1713/14. He was the son of Ebenezer Kimball and Ruth Eaton. Abraham Kimball married Mary Pike.